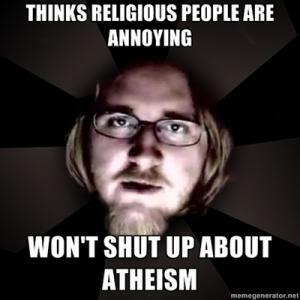 You don't agree with my beliefs? 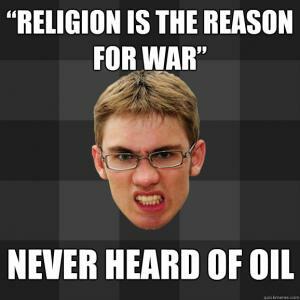 "Religion is the reason for war"
Please, keep bringing up Ash Wednesday. 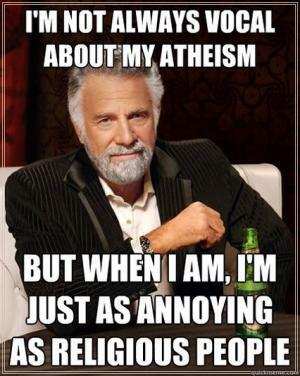 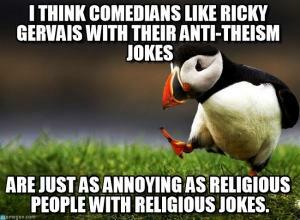 Are just as annoying as religious people with religious jokes. 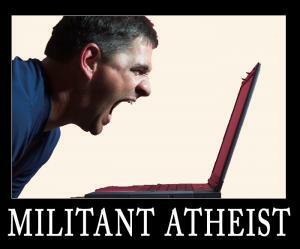 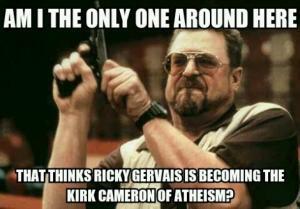 That thinks Ricky Gervais is becoming the Kirk Cameron of Atheism? 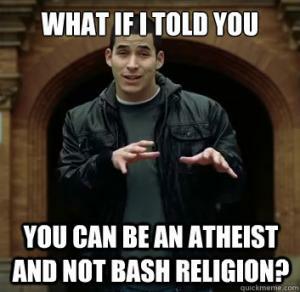 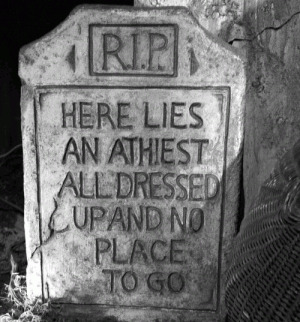 if youre christian, marry christmas, if youre jewish, happy hanukkah, if youre an atheist well f-you! 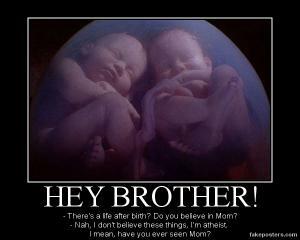 - There's a life after birth? 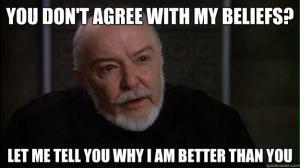 Do you believe in Mom? 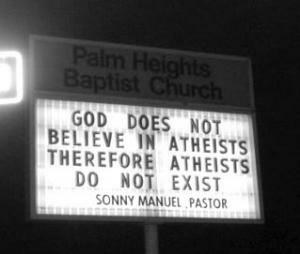 - Nah, I don't believe these things, I'm atheist. 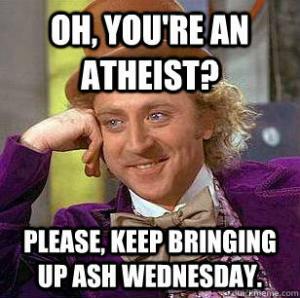 I mean, have you ever seen Mom? 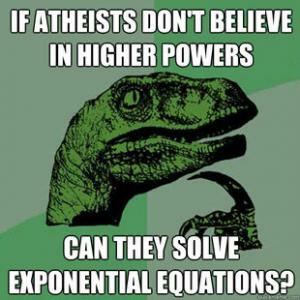 Can they solve exponential equations?